HR Virtuoso® provides comprehensive mobile recruiting solutions for companies. We transform your mobile recruiting efforts by customizing employment applications and providing seamless integration to background check providers and applicant tracking systems. Our recruiting solutions system is designed for non-exempt mobile recruiting. It will increase your applicant flow in the hospitality, call center, restaurant, logistics, manufacturing, oil/gas, and industries with high volume recruiting. 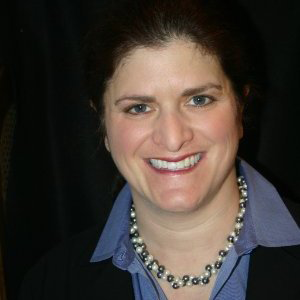 Liz D'Aloia created HR Virtuoso® so companies of all sizes could have a cost effective mobile recruiting solution. When Liz isn't busy recreating the mobile recruiting experience or volunteering in the community, she's creating new ways to use her favorite food – dark chocolate. Russell Smeed has been on the forefront of recruiting technology for over 15 years. Russell has helped hundreds of companies develop and implement innovative candidate sourcing strategies, mobile application systems, job boards, and company career pages. His past experience includes developing product strategies for DMN Media, where he was responsible for the Recruitment and Education classified advertising team. Russell was also selected the Monster.com Product Development Committee where he worked with other members to help shape product offerings for Monster. Russell has held leadership positions at Career Builder and Employocity, where he helped companies create innovative recruiting strategies. Russell holds a BS in Management and Marketing from the University of Texas in El Paso. 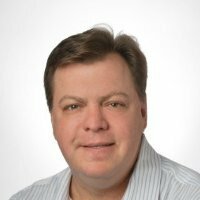 He has served on the boards of both the DFW Staffing Management Association, the Dallas/Ft. Worth Employment Management Association, and the Hotel Association of North Texas. Russell honors our veterans by volunteering with the Vietnam Veterans of America Chapter 137.